The rapid oral fluid screening devices market registered growth at a CAGR of over 4% during the period, 2013–2017. The growth rate of rapid oral fluid screening devices market can be attributed to a cohort of factors, such as growing alcohol & drug consumption. Moreover, stringent regulations put into place for mandatory drug & alcohol testing are also working in favor of the manufacturers of oral fluid screening devices. 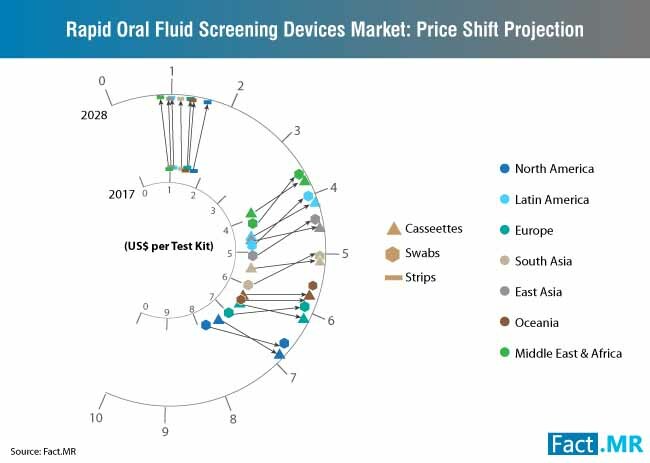 North America will continue to be the leading market for rapid oral fluid screening devices alongside the ever-increasing instances of drug abuse & alcoholism. Nearly 19.7 million adults (aged 12 & older) suffered from substance use disorder resulting in adverse effects on health, according to a study by the National Survey on Drug Use and Health (NSDUH). South Asia will emerge as a high-growth market for rapid oral fluid screening devices on account of rising cases of illicit drug usage. Strenuous efforts to prevent drug abuse by governments of leading South Asian countries are likely to propel growth of this regional market. For detailed insights into rapid oral fluid screening devices market, request for summary of the report. Alcoholism and drug abuse is increasing at an alarming rate in many countries across the globe. 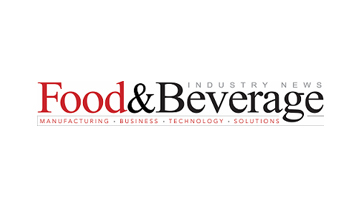 This, in turn, has resulted into high focus on drug and alcohol testing, thereby creating sustained opportunities for manufacturers and other stakeholders. Growing use of rapid oral fluid screening devices by physician laboratories, independent laboratories, and hospital-based laboratories to perform diagnostic procedures. Oral fluid is being widely recognized as a reliable medium to diagnose the ripple effects of drug abuse. Oral samples are convenient in terms of collection with no specific requirement and have minimum risk of adulteration, thereby fuelling investments in rapid oral fluid screening devices market. Prescription drug abuse, wherein medications are consumed without a physician’s supervision or prescription, has become a serious issue leading to serious health-related adversities. Increasing cases of prescription drug abuse are foreseen to provide impetus to growth of rapid oral fluid screening devices market. In line with the evolving business models in healthcare landscape, development of effective and scalable products is on a significant rise, followed by favorable reimbursements. This, in turn, is estimated to create revenue-generating opportunities for the key stakeholders in rapid oral fluid screening devices market. 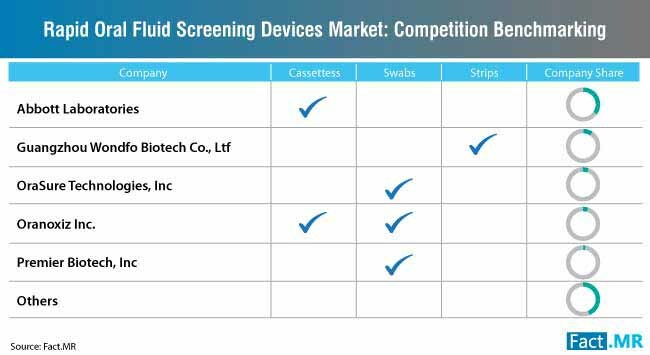 As the technology is easy-to-develop and subject to limited number of regulations, the rapid oral fluid screening devices market demonstrates low entry barriers for new entrants. 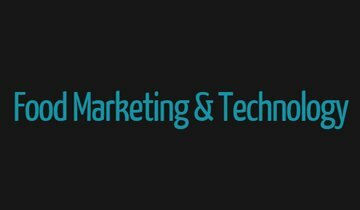 This, in turn, is anticipated to create intense competition in the global market space and eat into the stronghold of leading players. Oral fluid is capable of detecting drug consumed in less than 24 hours and cannabis consumed in less than 4 hours prior to the testing time. A shorter window of detection with rapid oral fluid screening devices can limit their adoption, thereby deterring growth of rapid oral fluid screening devices rapid oral fluid screening devices market. 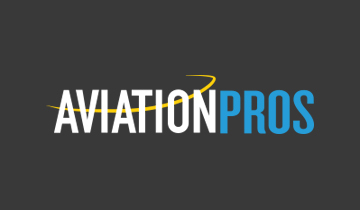 In 2018, Premier Biotech, Inc. - a leading player in the rapid oral fluid screening devices market – gained FDA clearances for two additional fluid assays of its product OralTox, namely Methadone and Oxycodone. In 2018, Securetec Detektions-Systeme AG- a leading player in the rapid oral fluid screening devices market - launched ‘WipeAlyser’, a mobile analysis device that is to be used with the DrugWipe rapid drug screening test. 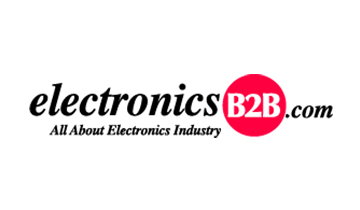 In 2016, Abbott Laboratories - a key player in the rapid oral fluid screening devices market - entered into a strategic agreement to acquire Alere Inc. (Alere), a leading diagnostic device & service provider. 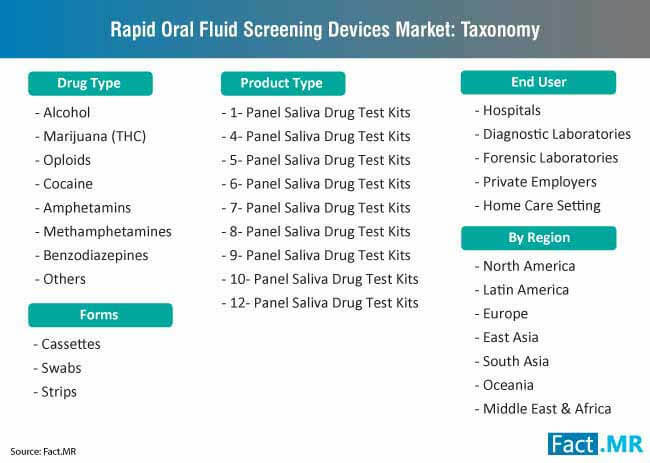 A few other companies profiled in the rapid oral fluid screening devices market report include Guangzhou Wondfo Biotech Co., Ltd, OraSure Technologies, Inc, Oranoxis Inc, UCP Biosciences, Inc., Screen Italia Srl, MEDACX Limited, and AccuBioTech Co. Ltd.
For more information into the competitive dynamics of rapid oral fluid screening devices market, request for summary of the report. On account of high costs of laboratory-based tests, the shift toward adoption of ‘on-the-spot’ testing is being relied upon as an economic and viable proposition for drug driving cases. Rapid oral fluid screening devices, with instant yet accurate results, are being deployed by law enforcement agencies for roadside screening to combat drug-impaired driving. 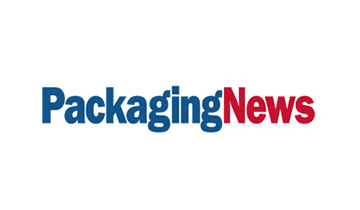 The shorter detection windows of rapid oral fluid screening devices, although having its own share of limitations, makes them ideal investments for screening of drug-impaired driving, creating untapped potential for companies in the rapid oral fluid screening devices market. With higher resistance toward invasive procedures such as blood draw, oral fluid collection is being preferred with minimum risks and maximum credibility, thereby driving rapid oral fluid screening devices market. The compelling insights and forecast analysis provided in the report on rapid oral fluid screening devices market report are a result of a diligent and robust research methodology process. The research methodology for rapid oral fluid screening devices market report is an ideal combination of meticulous primary research phase and extensive secondary research phase carried by a team of expert analysts at Fact.MR. 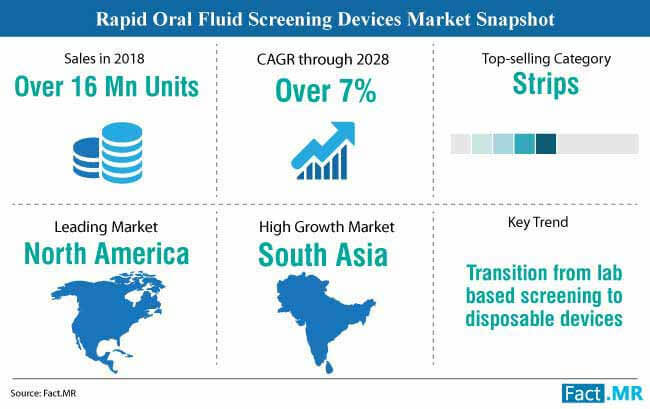 The report on rapid oral fluid screening devices market report offers utmost credibility in terms of information and insights compiled and also serves as a decision-making tool for aspiring players in the rapid oral fluid screening devices market report vying to boost their market sustenance. The report on rapid oral fluid screening devices market report offers a deep-dive into the evolving market trends that helps the market players of rapid oral fluid screening devices market report to make informed decisions. 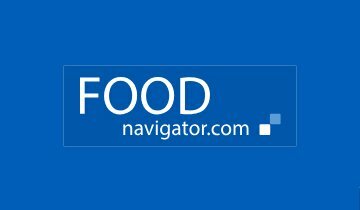 Request Methodology of this report.